Add a Lil’ Spice to Your Life! While the Master Cleanse is a great way to shed some extra pounds and detox the bod it’s a REAL commitment and can be challenging during the holiday season. Now I’m sure some of you FIERCE ones can do it this time of year, but an easier way to add in some of the benefits that the cayenne brings can be spicing up your cooking and kicking off the day with a morning “tea”. Cayenne increases the metabolism by immediately influencing the venous structure and can help to adjust high blood pressure to normal levels. Cayenne is used in aiding high blood pressure, but it also “cleans” the arteries; helping to rid the body of the bad LDL cholesterol and triglycerides. Considering that heart disease is the number one killer in America, this is hugely important. 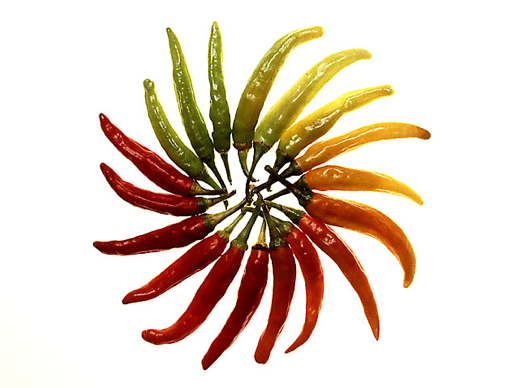 Cayenne also stimulates the peristaltic motion (how our inner musculature helps to move food/contents through our digestive system) of the intestines and aids in assimilation and elimination (aka it helps you poop). While cayenne is HOT, it paradoxically is said to aid in the rebuilding of tissue in the stomach, facilitating healing with stomach and intestinal ulcers. I add cayenne to my grilled veggies, and you can add to any cooking that you prefer to your taste. What I LOVE is starting my mornings out with a 1/2 a squeezed fresh lemon, hot distilled water 3 shakes cayenne pepper and a small handful (about 12) Goji berries. The berries add a lil’ sweetness and plump in the “tea”. It’s a great way to stimulate your bod in the morning especially now that the weather is chilly. I start my day off like this, but I often have it a few times a day as well. This entry was posted in FIERCE FUN, FIERCE HEALTH, FIERCE- ISH and tagged #cayenne, #fattofit, health, love, weightloss by GETFIERCE TRAINING. Bookmark the permalink.